It will take place at the Olympics Shooting Centre in Rio de Janeiro. The Nepal-born Indian will be involved in the championship along with fellow citizen Gurpreet Singh in the 10m air pistol event. Indian people would like them to finish the game at the top and bring medals home. However, they are expected to reach the final stages. Jitu Rai is considered the choice for India to bring gold to the country as he won a gold medal at the Commonwealth Games 2014 and the Asian Games 2014. He is one of the best shooters in the nation as of now. This is the first-ever Olympics for Jitu in his career. A majority of people are expecting the best from him and achieve what Abhinav Bindra did in the Beijing Olympics in 2008. Obviously, a gold medal in an individual shooting event (10m air rifle). Along with Jitu, his Indian army mate Gurpreet is also expected to perform with the best of his capabilities and potential and achieve some medals. Gurpreet has won the 2 gold medals in the 2010 Commonwealth Games. He stands fourth this year which is his best finish in the ISSF World Cup in Munich. Archery, Shooting, Wrestling, and Boxing are the India’s most watched and significant sports discipline. There are high chances to win at least two gold from the Olympics. Thus, similar to this sport, other sports also have high expectations every time. Before the men’s shooting event, there will be the same championship of women. They will also be seen in action in the 10m air rifle qualification round. 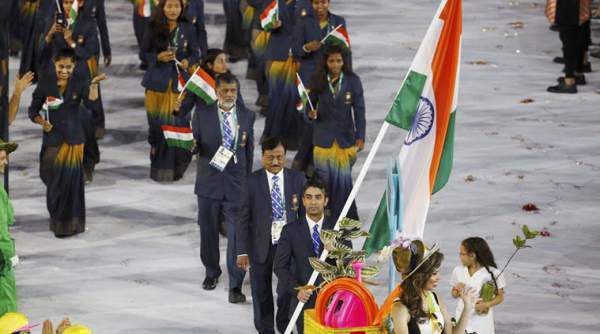 Ayonika Paul and Apurvi Chandela will make their appearance in the first ever Olympics games. They will make their nation proud. Let’s see if they will be able to win some medals. 10m air pistol men’s qualification round is set to start at 1 p.m. local time (9.30 p.m. IST, 5 p.m. BST) at Olympic Shooting Centre on Aug. 6. The final round is scheduled for 3.30 p.m. local time (12 a.m. IST (next day), 7.30 p.m. BST). 10m air rifle women’s qualification round is set to start at 8.30 a.m. local time (5 p.m. IST, 12.30 p.m. BST) on Aug. 6. The final round is scheduled for 10.30 a.m. local time (7 p.m. IST, 2.30 p.m. BST). India: TV: Star Sports 2/HD, Star Sports 3/HD, DD Sports. Live streaming: Hotstar. UK: TV: BBC One, BBC Two, BBC Four. Live stream: BBC Red Button.